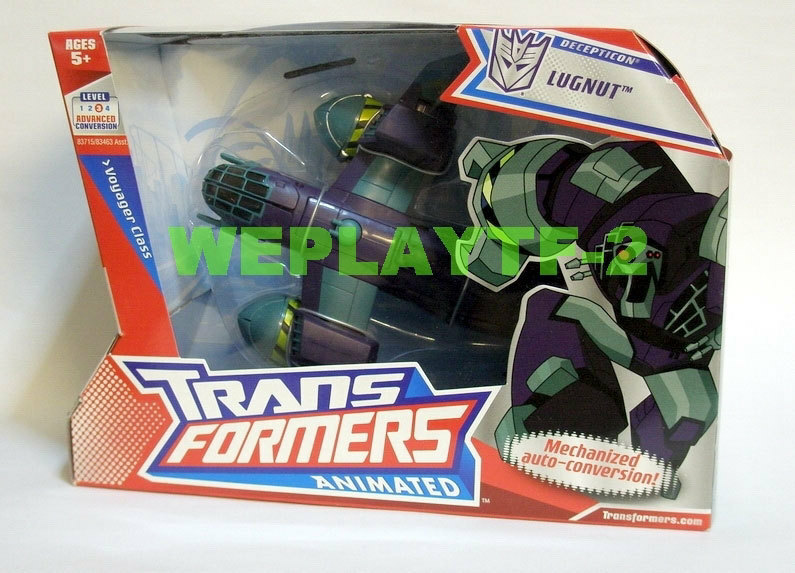 Thanks to TFW2005 member Peaugh for new images of Transformers Animated Lugnut in package which shows the BIO and special gimmicks such as Rear Stabilizers that become the Power Mace and you can Slam the base to autoconvert it into a power mace, plus it has Mechanized auto-conversion. Check out the images by clicking the thumbnail to the left. Why didn't they call his conversion "Auto Morphic"? Reading Lug's bio, he has almost no weakness. That's odd to read for a Con. well, in the cartoon, and even the box art shows that he has an upper lip, but the toy has the eye taking up all the space. I know its silly, but for some reason it bugs me. Oh, no worries, the upper lip is there on the toy, it's just hard to see due to the angle of the shots. I'll try to snap a pic of it when I get home and have access to the toy and my good camera. 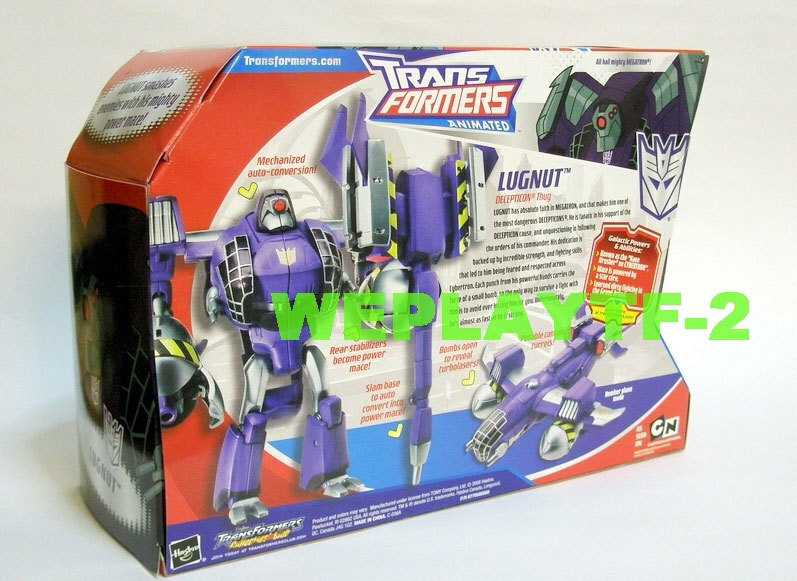 Lugnut looks pretty awesome. Hooray for big purple planes. Any blame for "turbolasers" rests solely on Lucas and Star Wars' shoulders. It's not missing, his lip is there. Unless you're referring to the character design in general, then gotcha. I guess what I like most about this box are the malapropisms. "Rear stabilizers"? Don't you mean the tail fins? And I suppose Decepticon 'thug' is a new military unit as opposed to the G1 'warriors'. I guess what I like most about this box are the malapropisms. "Rear stabilizers"? Don't you mean the tail fins? That's to trick the kids with awesome words. "Turbolasers"? What the hell is that anyway? its great to get some drawn art on TF boxes again. im just trying to imagine a gen 1 style art version of lugnout on the box, that kindof defeats the point but thats an idea for some great fan art. No, that was from a Hasbro rep who watches my youtube vids. Ah, I see. Thanks for the correction Peaugh. Well that should mean that Blitzwing is done and waiting to be seen at Botcon. 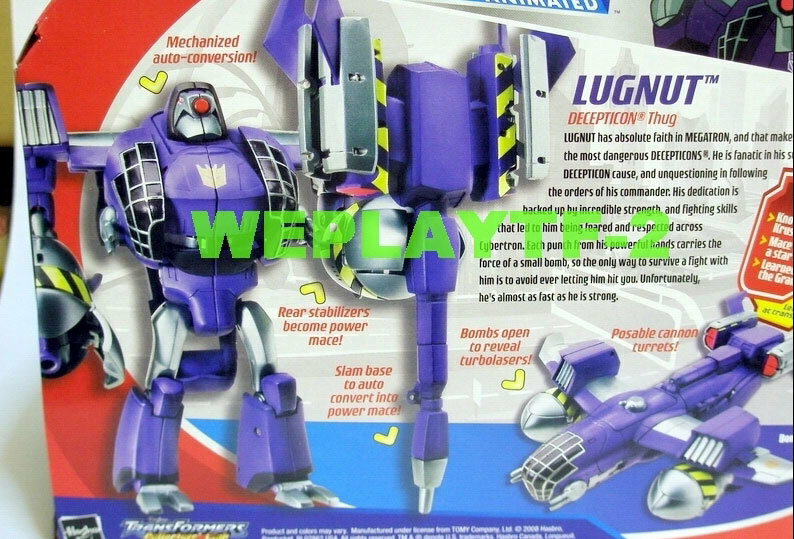 Lugnut's front box art makes it look like he just discovered he got a pony for his birthday. LOL… He sure is excited! Where are you getting these shots, and who is "WEPLAYTF-2?" weplaytf2 is an ebay seller. The shots came from him and his auctions. What, these guys are telling you when you can show pictures of stolen toys? Does he have a water squirter? 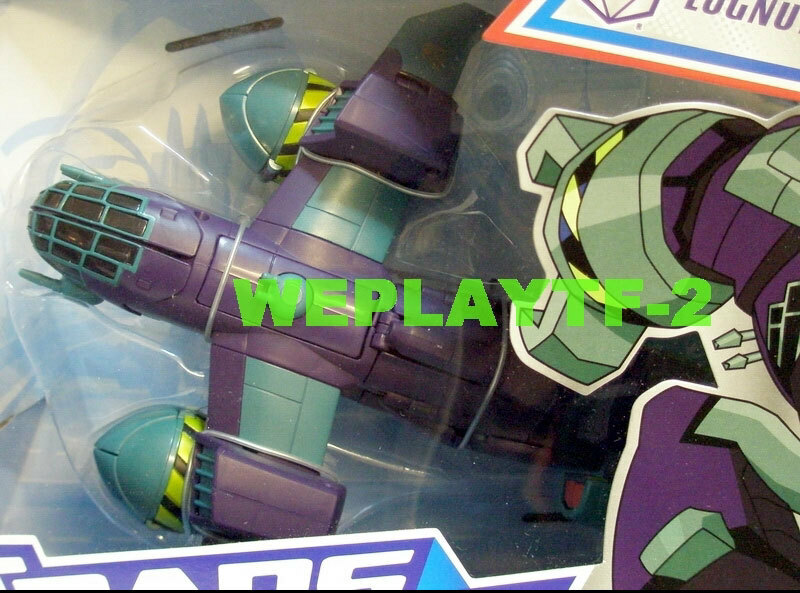 I thought I read that he had a gimmick that was a water squirter… maybe that is blitzwing? Voyager OP has a water squirter, I believe.